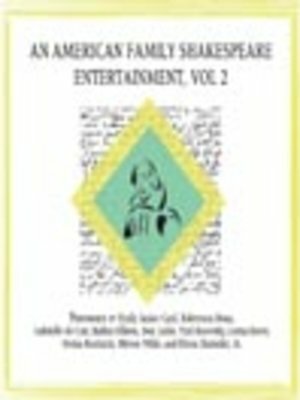 In this second volume of Blackstone's audio theater production of An American Family Shakespeare Entertainment, a full cast of award-winning narrators present miscellaneous scenes and soliloquies from Othello, King Lear, Macbeth, Timon of Athens, Pericles, Cymbeline, The Winter's Tale, and The Tempest. Based on Tales from Shakespeare by Charles and Mary Lamb and featuring Elizabethan songs and dances in new arrangements for stringed instruments, this original audio recording is a Skyboat Road Company production, conceived, adapted, and produced by Stefan Rudnicki in 2008 for Blackstone Audio, Inc. THE TEMPEST read by Efrem Zimbalist, Jr.
SOLILOQUY: Prospero read by Efrem Zimbalist, Jr.